It is not hard to learn new way to help you improve your health, a healthy body and mind is important for a full and vital life. Using natural methods to help the body heal, we work together to come up with a plan specifically for you to help utilize what nature has provided to improve your health. I specialize in chronic illnesses using herbs, dietary and lifestyle changes and energy work and more. Many illnesses are caused by too many toxins in the system, we work together with your body to remove those toxins help prevent additional toxins from entering. I recommend many modalities to make sure we can come up with the perfect plan for the client. Learn how to use herbs and supplements to boost health and vitality. Herbs can restore your body to health, the properties in herbs are not only good for the internal body but they also work with the outer energy system. Herbal blends are made for your specific issue. Education is key to health and wellness. New programs and classes are coming soon. Open House: April 18 4-6 pm. The art of juicing: April 18 6-7:30pm. Healing Lyme Naturally: April 25 6-8:30 at Tangled roots in Nashua. Lyme, Cancer, Skin Issues, Epstein Barr virus, Diabetes, Arthritis and more stay tuned. ​I can do in home parties for Crystals and Energy work, if you are interested call 978-476-1184. Qigong, Yoga and Tai Chi are exercises used while meditating, or sitting in a quiet area alone with a guided meditation. 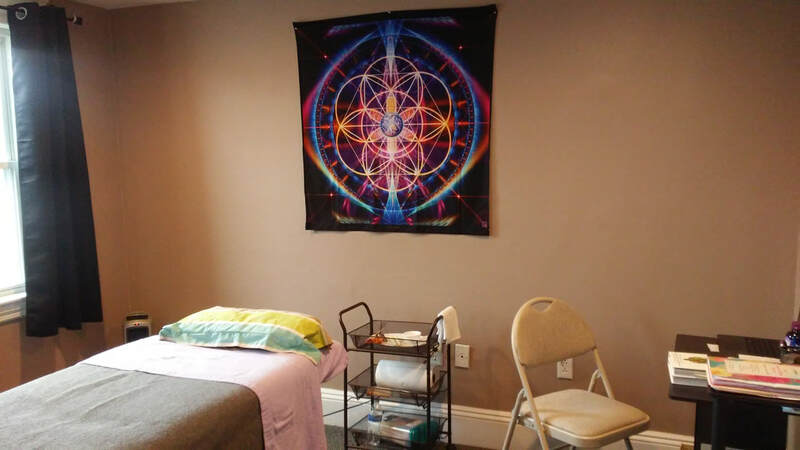 Reiki, Crystals, Energy healing and massage can also help your body relax and heal. these are perfect to move the fluids in the body and remove toxins, this helps the body heal itself. ​Connecting the body and the mind is important in order to accomplish your goal of becoming healthy.